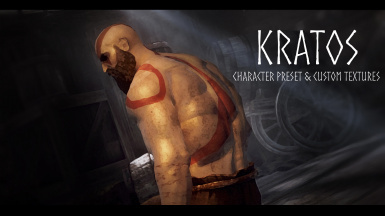 This mod is just a simple character preset for Kratos from the newest God of War game. I've also included my very own custom textures for him, which you can see in the 'media' section of the mod page. My Vanilla Races You won't be able to use the preset with the correct textures without this mod. RaceMenu This is a must-have. Guys, It's finally here! 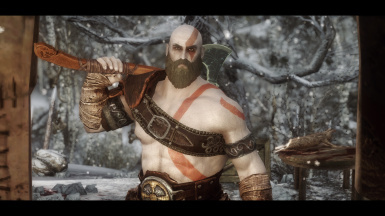 I know that a lot of you have been asking me to release Kratos that I made in any form, whether it's a follower, a preset, or just an armor mashup for him. Well, I've finally found the time to finish the textures that I was making for him and refine the preset as much as I can. Now, since this is my very first mod, there's a possibility that I didn't do something right. However, I tried to make everything as simple as I could, so I guess I'll have to wait for your feedback to see how well I did the job. 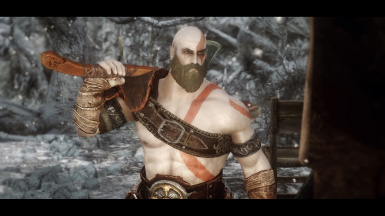 I've been fascinated by the new Viking-inspired take on Kratos and I simply couldn't pass up the opportunity to bring him to Skyrim (or Enderal, in my case). I always thought about how he'd fit so well exploring the Nordic ruins and tombs. 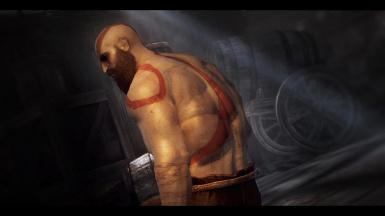 Therefore, Kratos had to be a part of my game, and now he can be a part of yours too. To make him look unique (not have the same textures as everyone else in Skyrim) I had to use ''My Vanilla Races''. It's an amazing mod that doubles the vanilla races and allows you to set your own texture for each one. So, it's imperative that you have it. Otherwise, the preset is not likely to work properly. The preset also has the adjustments for the weapon placement (when they're sheathed). 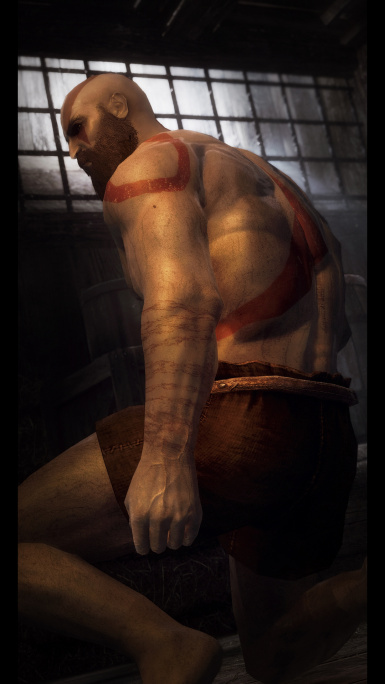 His Leviathan Axe and the Blades of Chaos are on his back (as it should be), just like in the original game. You'll probably have to install Racemenu (duh) and XPMSE for that to work properly. The only thing that you need to do is to copy the Data folder from the archive and paste it into your Steam folder (or wherever your game is installed). 1. Be sure to open up the console by hitting the key under the 'Esc' key (tilde). Type in 'showracemenu' and choose the newly added 'My Breton' race, and then apply the preset. 2. This mod was intended to be installed manually, there are no fomod files, so installing it with a mod manager might not work. Sheesh, I'll quit my rambling now. Anyway, I hope you enjoy the mod and feel free to contact me if there's something wrong with it. I'll do my best to help out. EDIT: Thanks to your overwhelming support and interest, the mod made it into the Hot Files section. I didn't expect such positive feedback, but I'm glad that so many people like the mod.